Excuse me while I get the hang of this, but I hope to start an interesting blog about running in Hong Kong: an unlikely running gem. There are probably few cities in the world in which a major cosmopolitan city is located next to some of the best trails, many of which are steep, and technical. At the same time, running in Hong Kong poses several challenges: asphalt, concrete, extreme humidity, steep climbs, unending stairs, and so on. So, when searching for a name for this blog, I thought of two things that symbolize the contradictory nature of running in Hong Kong: water buffalo and concrete. 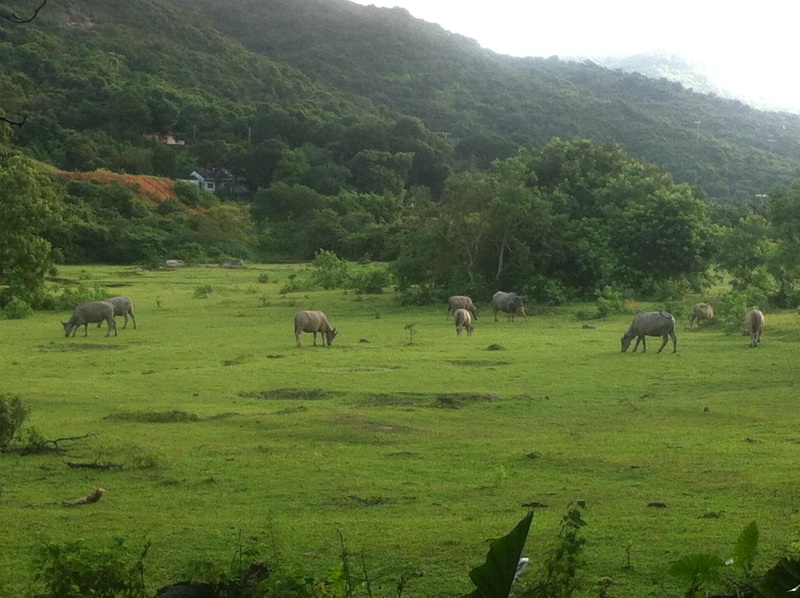 Feral water buffalo roam free in Lantau and in parts of the new territories. Running in these areas, which are often remote and free of people, along beaches, abandoned Chinese villages, and tropical areas, you might assume that you were in another era or another place, with only the water buffalo munching on his/her nearby greens to remind you that you have company. In contrast, when finishing up a trail run, often you reach catchwaters or cement paths, which eventually lead back to one of the densest places on earth, a compressed and cramped city brimming with pollution, dynamism, and vibrant humanity. When in the claustrophobic and loud parts of the city, you can easily understand the Chinese saying 人山人海 "people mountain people ocean", meaning a place so crowded that the people have overwrought the landscape. In this blog I'll try to embrace these contradictions: the remote trails, the steep technical mountain runs, the concrete paths, and flat road races, all which makes running in Hong Kong unique.